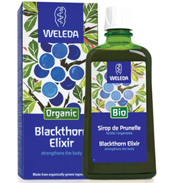 The power of Weleda products comes from the life force in the natural ingredients, which we achieve using biodynamic agriculture. So, they plant, nurture and harvest every seed with love in harmony with the seasons, surrounding plants, insects, birds and even planets. The organic juices and elixirs are formulated to provide a wide range of specific health and nutritional benefits as well as maintain general wellbeing. They are rich in natural vitamins complexes and other active ingredients with health giving properties.